As promised, the Nordstrom Anniversary Sale has gotten a little overwhelming (understatement of the year, right?!). So I’ve rounded up my favorite items that are worth ALL the hype! And trust me – I’ve done quite a few returns so I’m giving you what I would actually wear. First I’ll start with these tops and the navy shift dress. These were all winners that came home with me (or ordered online in my size) to keep! Some of these brands like Free People and Rails can be super pricey and not always in my budget – so I grabbed them quick while they are discounted. I got my true sixe (XS) in everything and went with a size 0 in the dress (ruffle shoulders and SO flattering on). Now on to my absolute favorite sale picks, period. If you are looking for affordable denim THESE are by far the best! I am very picky about the way my jeans fit – and they have to be comfortable or I won’t even bother… The two pairs of jeans featured in these pics are $38 and $41 (OMG!) and they feel like designer! The Vigoss pair will need to be hemmed to fit me but for this price it is well worth it! Side note: Nordstrom cardholders get a $100 credit towards alterations, so that’s something to keep in mind if you are on the verge. 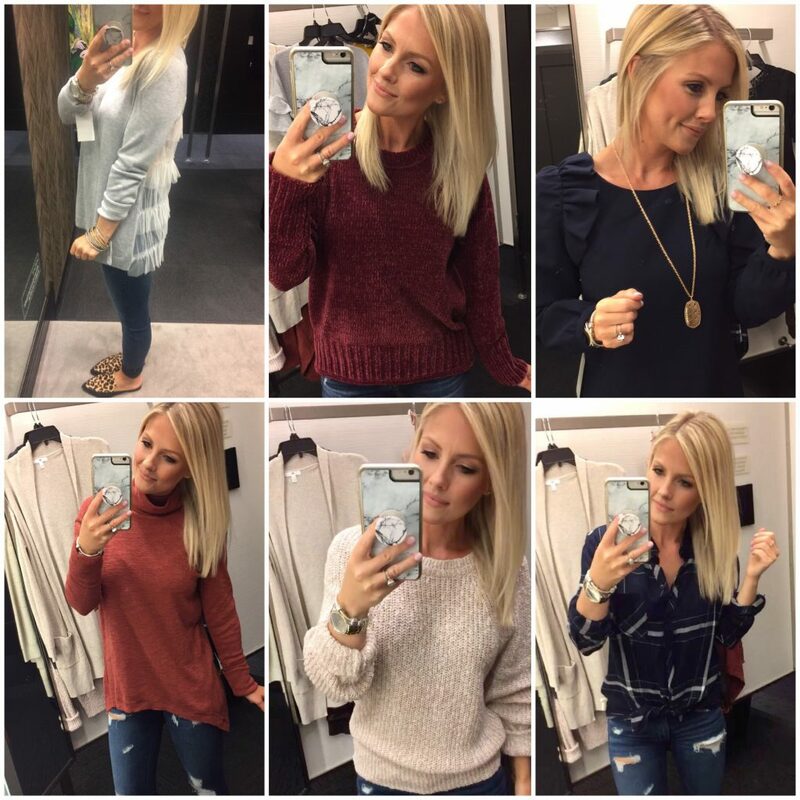 Moving on – the faux leather legging in the top, middle photo are my favorites from the sale! They are a little snug so sizing up one size wouldn’t hurt on these. 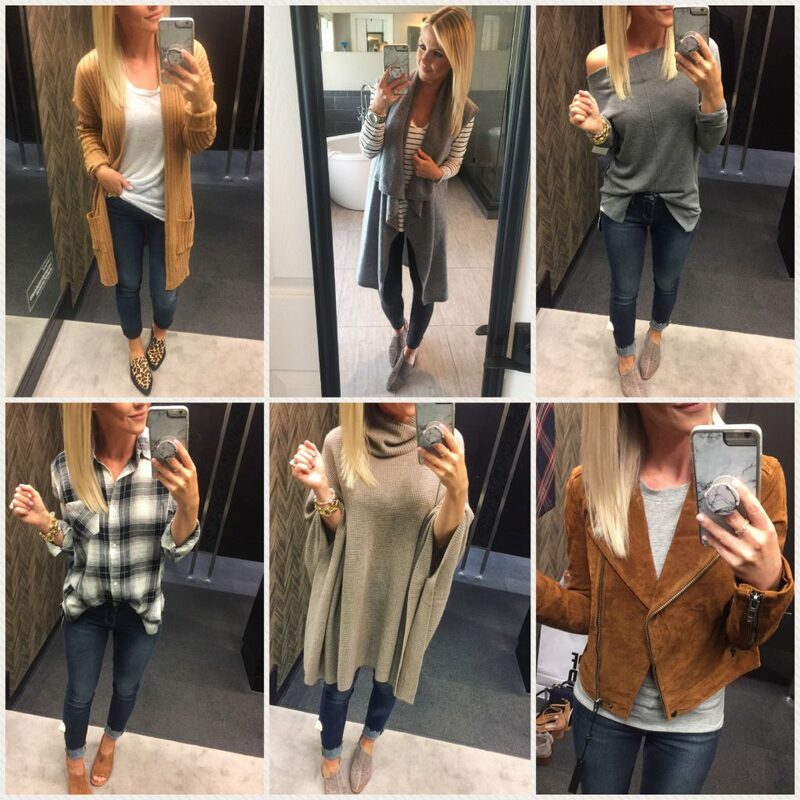 Each of these outfits can be mixed with other wardrobe staples and worn multiple ways so you’ll definitely get your moneys worth this coming fall! 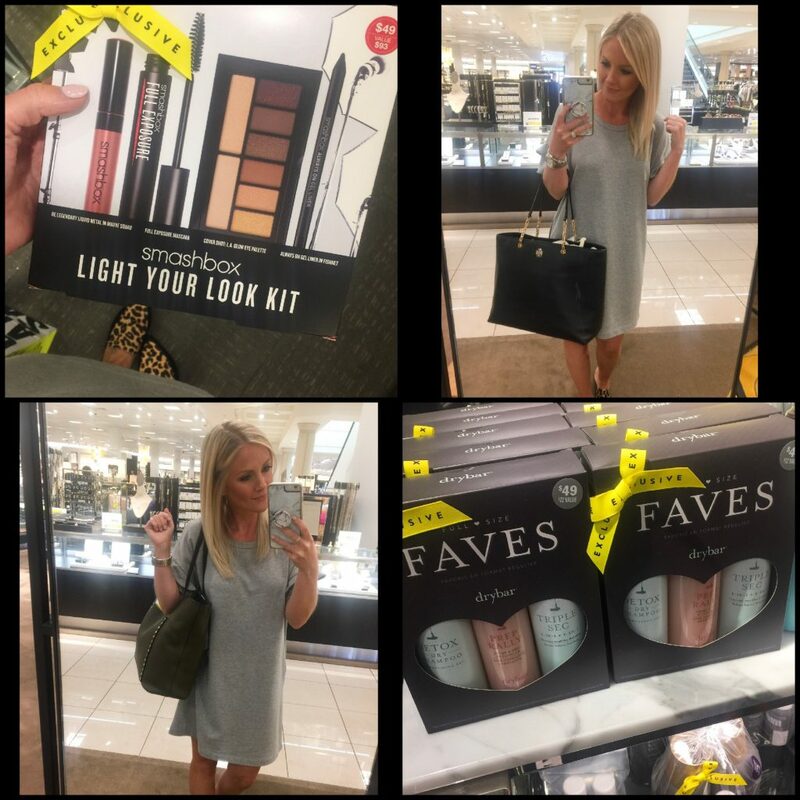 On my way out of the store yesterday I had to hit the beauty counter… I heard some of my favorite products were marked down in sets (things I use everyday anyway that never go on sale!!). These items also make great gifts so make sure to check that off your list while they are marked down! I also had to check out the designer bags and these two were my picks – don’t be surprised if you end up seeing them on my feed soon..! This sale runs through August 6th and Nordstrom is notorious for restocking items a few times, so don’t panic if something is sold out – but if you see something you love, grab it! We will try to stay on tops of items and of course post what we thing you need (even if it’s everything haha! ).